FASHION IN FOCUS 2019 is on from March 19 – 28 2019. Exciting news today with the launch of FASHION IN FOCUS 2019 by powerhouse fashion PR agency Showroom 22. 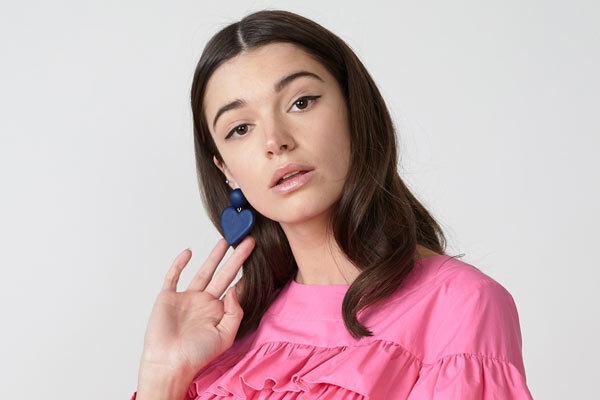 The two-week-long series of fashion-related events runs from March 19 – 28 2019 and will be hosted at Showroom 22’s Auckland CBD showroom and on-site studio, Symmetry Studio. Comprised of six key events, each delves into a different area of fashion and brings together business and creative forces from many leading fashion brands and businesses. It’s aimed at anyone interested in fashion but specifically at the emerging talent pool starting out or about to launch themselves into the fashion industry but there will be plenty for seasoned veterans to enjoy too. 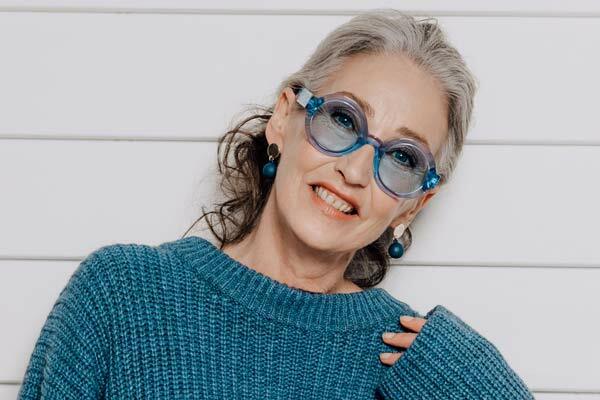 FASHION IN FOCUS 2019 picks up on the global trend for more informative and inspiring fashion events with this series having a unique New Zealand focus as well as international aspects. While the fashion industry is often seen as elite and closed to outsiders, this series will throw open doors and spark conversations at every level. Fashion is changing quickly and the move to direct to consumer business models has meant a change towards an open-source platform of idea and knowledge sharing which is where FASHION IN FOCUS has drawn inspiration for the series. 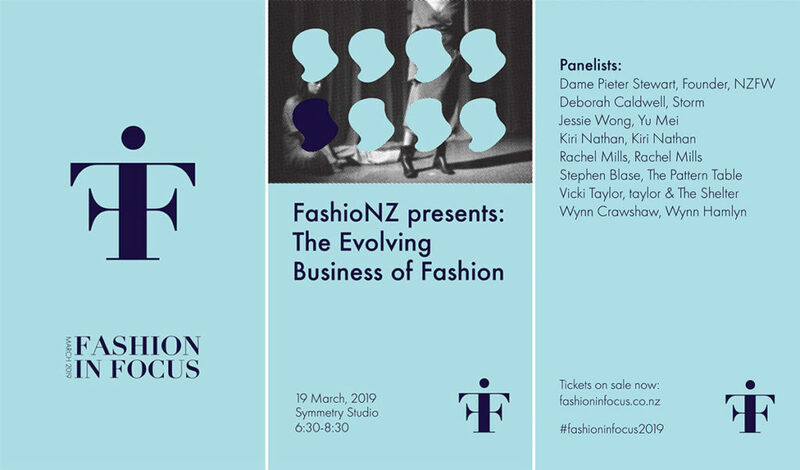 We’re delighted to be presenting the first event of the series in association with Showroom 22 and have selected an intelligent and inspiring line-up of panelists to discuss the evolving business of fashion in New Zealand. The full details for our event are below including the names of our talented panel and host. Tickets are available from iTicket for each of the five events at $40 each with student tickets for $30 per ticket and group bookings (10 or more tickets) are $29 each. What does it take to create a successful fashion business? 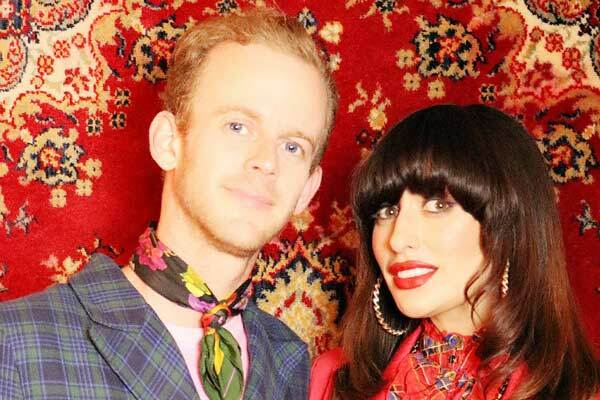 How do you grow a fashion business in New Zealand and build recognition overseas? 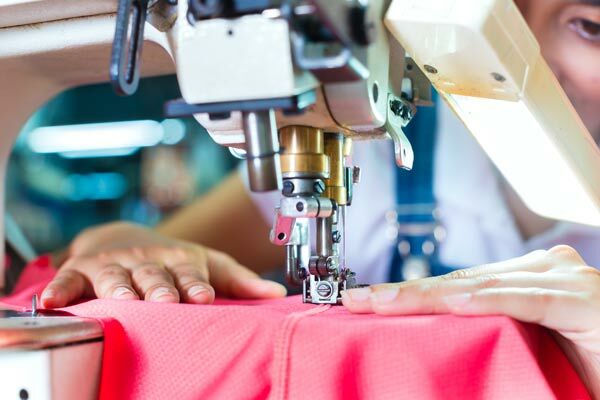 Fashion is constantly changing and thanks to technology customers are more accessible to designers than ever before but the market is also increasingly competitive. Knowing who are you and what you stand for is the basis for making creative and business decisions which is where this panel discussion brings to together the unique perspectives of some of New Zealand’s fashion leaders and rising stars. 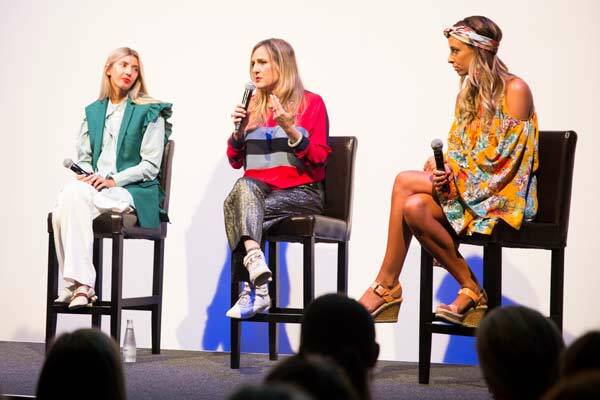 Presented by FashioNZ and hosted by business expert and presenter Simon Pound from The Spinoff’s Business is boring podcast, the panel will offer their insights into their own businesses and discuss the current changes in fashion in New Zealand. Panelists include New Zealand Fashion Week founder Dame Pieter Stewart, STORM creative director and founder Deborah Caldwell, The Shelter founder and taylor designer Vicki Taylor, designer and artist Kiri Nathan, Wynn Hamlyn founder and designer Wynn Crawshaw, Yu Mei founder and creative director Jessie Wong, designer Rachel Mills and owner of clothing production company The Pattern Table, Stephen Blase. This is your opportunity to join the conversation on the business of fashion in NZ. Fashion has a history of standing up and saying some great things, and 2019 will be no exception. But amid the established conversations around sustainability, transparency and diversity, there is a new voice – and it’s one of accessibility. The concept of accessible fashion is set to come to life in an enlightening, funny, moving and eye-opening presentation that we hope will educate and inspire, Together, Ange Bevan and Grace Stratton invite you to hear them speak, alongside some incredible guests, as they launch Allisforall, a digital platform that seeks to begin serving a growing population of 1.3 billion people, those with access needs, or disabilities – in a way that’s never been done before. This event intends to have an NZSL interpreter for members of the New Zealand Deaf community, please let us know if this is something you require, to ensure your needs are met. Panelists include: Grace Stratton & Angela Bevan (Allisforall), Imogen Zino, Red Nicholson. Join us on March 21st to hear from some of the New Zealand fashion industry’s most successful young women about their chosen creative careers. The panel will be a mix of fashion designers, stylists, magazine editors, hair & make-up leaders and more. This is the ultimate night to meet some local heroes and take the next step in choosing your path – if a career in fashion is where you’re heading, you can’t afford to miss this! Kiekie Stanners (M.A.C Cosmetics), Kylie Cooke, Zoe Clark (INCO Studio), Margie Cooney (Denizen). 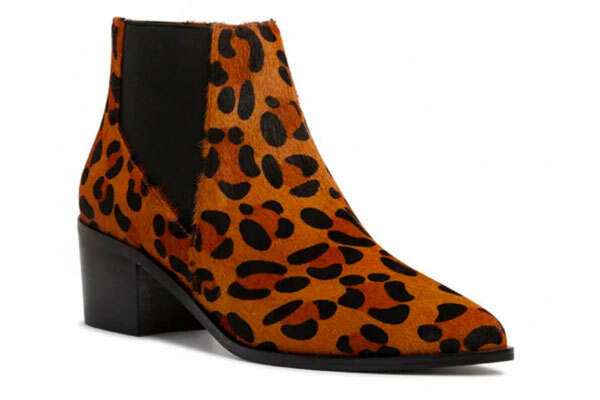 Fashion Influencers have re-written the rules of fashion marketing over the past few years, and no market has gone untouched by this army of fashion foot soldiers. On March 26th you’ll be able to meet and greet some local leaders in this space, and hear from those who have made a living out of the influencer industry. But where is it all heading, you might ask? Join us to learn about the future of influence and whether the bubble is about to pop or if it’s just getting started. Panelists include: Laura Hadlow, Gracie Taylor, Cassidy Morris, Brooke Howard-Smith (We Are Tenzing), Lucy Mansfield (Influencer HQ). Panelists include: Melinda Tually (Fashion Revolution), Gosia Piatak (KOW TOW), Jacob Faull (Nature Baby), Maggie Hewitt, (Maggie Marilyn). Fashion is synonymous with big brand names, but building that image takes time, money, creativity, persistence and a fair few fails! 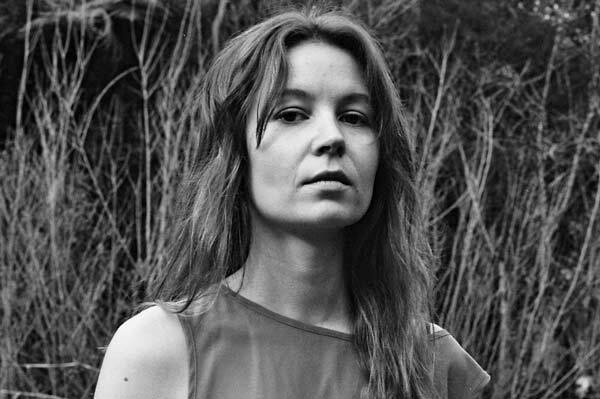 On March 28th you’ll be able to hear from three of the biggest names in fashion right now: Levi’s, Le Specs and Georgia Alice. All telling their own story, these brand ambassadors and creators will share their secrets to how their brands got to where they are today. Panelists include: Hamish Tame (Creative Director, Le Specs), Nicky Rowsell (Levi Strauss, Marketing Manager Aus & NZ) and Isabella Lau (Brand Manager, Georgia Alice). Don’t miss out on this exciting opportunity to hear from NZ fashion’s leaders and influencers.